Two monks. One space. Looming apocalypse. What could go wrong? When it comes to doomsday prophecies, Buddhist texts might not immediately spring to mind. However, there are a few portentous suttas spoken by the Buddha scattered through the Nikayas that read like something out of a Hollywood disaster movie. 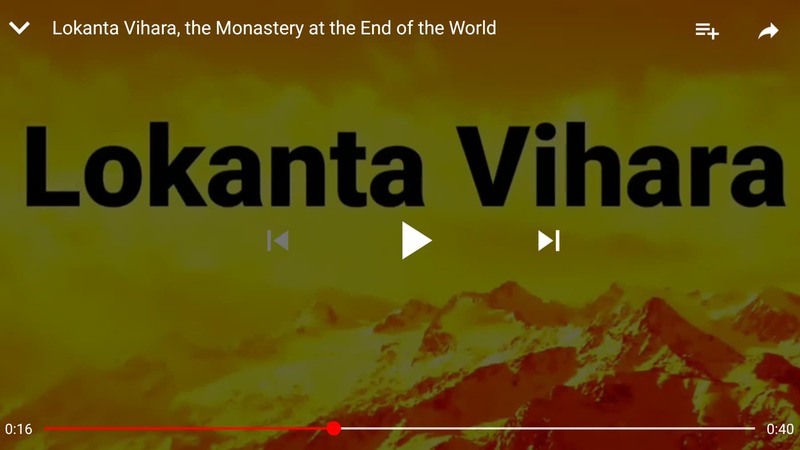 There is a certain satisfaction in pondering the utter destruction of the world—hence the popularity of the apocalypse film genre—but what exactly was it that the Buddha was pointing to when he talked about the End of the World? Then a second sun appears in the sky, and another and another. All the rivers, lakes and oceans of the world dry up so much, that when a “fifth sun appears there’s not even enough water in the great ocean to wet a toe-joint”. It is truly frightening to imagine such a terrible, cataclysmic end to the earth; a literal inferno. However, this is not just the stuff of prophecy, nightmares, or movies. 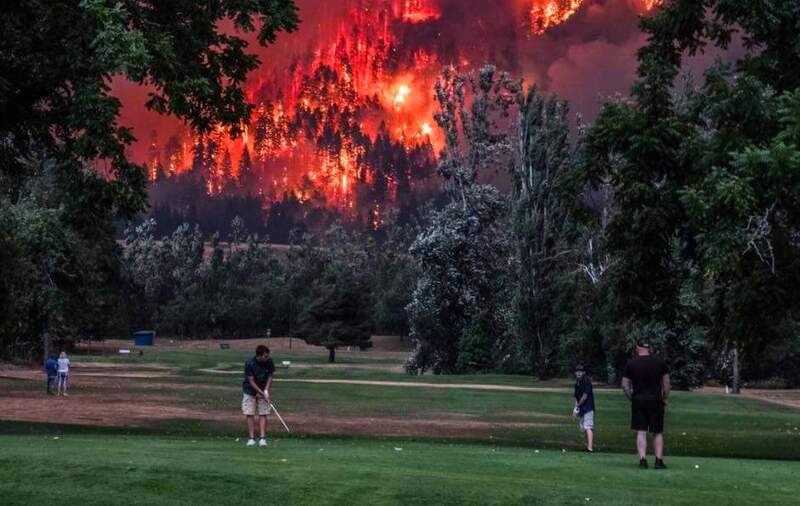 In the deep time, big picture future of our planet, this burning world is how contemporary science predicts things will actually end millions of years from now. All stars must die, including our own sun. 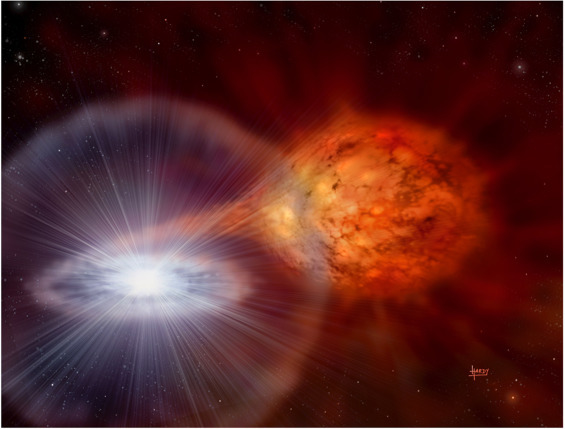 When they have exhausted their fuel, stars begin to swell in size, becoming bigger and hotter, until eventually collapsing in a huge explosion that swallows planets, vaporising themselves in a massive supernova. Mendicants, conditions are impermanent. Conditions are unstable. Conditions are unreliable. This is quite enough for you to become disillusioned, dispassionate, and freed regarding all conditions. The Buddha uses the abstract idea of total and utter destruction on a cosmic level, to remind us of the essentially precarious nature of our existence on a personal level. As each new sun appears in the sutta, the very world we cling to for survival becomes less and less hospitable, until even the very idea of its permanence is destroyed. In the same way, our very own bodies will wither and die, to be consumed on by a cremation fire. There is no safety, no permanence, nothing to rely upon at all. By challenging us in this way, the Buddha appeals to the emotional side of ourselves, creating an urgency within us to recognise the truth of our predicament and then, use this knowledge to generate a strong desire to escape conditioned existence entirely. This complex sequence of emotions and reactions is known as saṃvega, a term that describes “a state of shock, agitation, fear, awe, wonder, or delight induced by some physically or mentally poignant experience.” (Ananda K. Coomaraswamy, Saṃvega: ‘Aesthetic Shock’) Saṃvega is presented in several forms in the suttas, most commonly in relation to seeing the inescapable nature of old age, sickness and death, creating a sense of inspired urgency. The Buddha’s story of the Seven Suns, is not so much a scientific prediction of the end, or even a prophecy of doom, but rather an awe-inspiring shock tactic, told to stimulate us to practice the path of Dhamma right now. Only by turning away from the impermanent, unstable and unreliable conditions of the world will we truly have a chance to escape our suffering. The idea of a cycling cosmos is part of the fundamental Buddhist outlook that things don’t have absolute beginnings…. According to Buddhism, nothing arises without causes and conditions. There is no such thing as a first cause. Given this outlook, only a cyclic model of the universe makes sense. In the Aggañña Sutta, the Origin of the World (DN 27), the Buddha speaks of this cyclic universe in terms of contraction and expansion, occurring in vast timescales and multiple world-systems. Radiant beings move through these realms, bright, steady and luminous, almost like the passage of stars through the night sky. Since ancient times, humans relied upon the predictability of stars to navigate and determine the seasons. For centuries, stars were regarded as an enduring and permanent part of our experience of the universe, regulating the planting of crops, or the timing of religious festivals. The stars above us provided a sense of ordered continuity. However, through astrophysics, we now know that this sense of order and dependability is actually erroneous. We are, in fact, hurtling through space; our perception of steady permanence is an illusion. The movement of stars occurs in an ever increasing expansion. Spiraling outwards, whole galaxies are moving through space, and even collide with other galaxies. Whole stars systems are devoured and collapse into black holes, spectacular events that can only be described as apocalyptic. There comes a time when… after a very long period has passed, this cosmos contracts. As the cosmos contracts, sentient beings are mostly headed for the realm of streaming radiance. There they are mind-made, feeding on rapture, self-luminous, moving through the sky, steadily glorious, and they remain like that for a very long time. Both the Sutta of the Seven Suns and the Origin of the World seem almost fantastical in their description of our universe. The cosmos falls apart and rebuilds over and over again, or our planet burns up and spectacularly explodes; it seems too farfetched to believe. It’s easy to dismiss ancient scriptures as fictional and take comfort in that. However, will we also deny the cold and factual rationality of science? The refusal to believe scientific data by climate change denialists today shows just how easy it is to ignore science, as does the recent phenomenon of believers in a Flat Earth. Even if we are convinced by a scientific version of the apocalyptic destruction of our planet one day in the far-off future, it is still very hard for us to make a jump from an abstract potential future to a reality that we might individually experience. Increasingly as the effects of climate change become more widely known, it is easy to believe in a looming apocalypse like that of the Seven Suns. A world where changing rainfall patterns bring droughts that gradually turn the earth into desert, where crops fail and people starve. When this banal and unspectacular sort of apocalypse is finally upon us, will we only realise too late? Will we believe the science? Will we believe it when it happens? Or will we continue in our coccon of denial? The world has already experienced incredible changes in the past; It is also happening somewhere right now! Is it so difficult to imagine it happening again; but bigger? When the world begins to heat up, when it starts to burn, when there is not enough water to fill a cow’s hoof print, or enough food to feed your family… when society, civilisation, our whole world, even, our universe is ending—what will you do? It’s this question that I’ve been returning to over and over again. What does it mean to be a Buddhist at the End of the World? And how will the Buddha’s teachings help us then if we don’t practice now? Read Ajahn Brahmāli’s essay, Buddhist Cosmology and join in the conversation on Discuss & Discover. “Harbingers” is an ongoing series of articles, stories, and reflections by Bhante Sujato on living in the age of global warming. Stories will be told, you know. As long as there are people, they will share their thoughts, their hopes, their fears. Of what happened this morning, or yesterday. Or last week. And as time trots by, the silly stories, the useless ones, are left by the wayside. Facts dim like the evening sun, losing their sharp edges and their details. In the night, facts turn into entities, taking on a life of their own. They glow from within, illuminated, as it were, in the soft light of the imagination. And the stories that survive are the ones that burn brightest in the mind. There will come a time—and no long time at that—when there is no YouTube, no Facebook, no media, no TV. No cold blue flickering facts. People won’t be able to check the data or compare the sources. There’ll be no independent news, no experts to call upon. Just stories told the old-fashioned way. Those stories will have one, and only one, theme: Who were the gods? And what monsters killed them? The ruins of a lost civilisation evoke a sense of wonder like no other. The Buddha spoke of a forgotten city in the forest; it is the statue of Ozymandias, or the temples of Indiana Jones. For the people of the future, the lost civilisation will not be just a few ruins, a broken shrine, or a buried wall. They will live among the million acres of shattered concrete that we left behind. Bridges, freeways, skyscrapers, and the endless wastelands of the suburbs will be their jungle, their desert, and their home. There they will hunt and forage, find water, hide from the sun, raise families, and survive to do it all again tomorrow. The lucky ones will find their tribe. And their tribe will be bound together not by race or creed or politics, but by the stories they tell each other. In the evening, when the scraps of food have been eaten, the people will gather around the fire to share what solace they may. For a while they will feel safe and loved. They’ll talk, the usual trivia of the day, chat about this and gossip about that. But in the back of their minds, the question whispers, like a shadow in the corner of the eye. They know it, they fear it, they cannot look at it. So they fill the space with chatter and noise and laughter, holding their children close, keeping the shadow at bay as best they can. But it does not take too long for the quiet to fall. And when all else is silent, the question is still there, prodding, like a needle in the back of your brain, never quite letting you rest. Now, some questions cannot be answered because they are too difficult. Some, because they are not important enough. And some questions can’t be answered because you already know the answer. So you don’t answer the question: you tell a story. You know the story, but you tell it anyway. It is the story of Icarus, the god who flew too close to the sun. Of Mandhātā, the king who wanted the heavens and fell to earth. The story of the gods who became too greedy. You tell it to the children, because it is all you have. At this point in the stories, a chill would fall. No matter how hot the day, this was a cold that stuck in the marrow. But that last part was a lie. You know it, and I know it, and even the little children know it. The monsters are real. They hide in the coldness of the heart, in the cruelty of the passions. They are right there with you, even in the warm circle of the firelight. They have always been there, and we have always known them. Is it really a question if we already know the answer? Or do we just pretend it’s a question so that the truth becomes a little easier to bear? Those who tell the stories are our children. Those to whom the stories are told are our children’s children. Their world is the world we are making for them, right now. And for them, we are the monsters. We are the thing that will haunt their nightmares, down to the seventh generation and the seventy-seventh. They will never understand, not really, why we lived the way we do, knowing what we know. They will fear that the same blank unconcern lives in their own hearts. And they will tell stories that turn us into monsters so that they can sleep at night. For all the sufferings and hardship they will endure—the hunger, the heat, the disease, the violence and devastation of a world from which all good things have fled—at least they are not monsters like us. And it will work, for a little while. The little children will fall asleep, soft and sweet as a pigeon’s coo. Until the sun rises once more, and the vengeance of the gods is laid in fire upon the face of the earth. The End of the World is not likely to be an exclusive event. It’s true that some religions have their own VIP versions of the apocalypse, where the Chosen Few are saved and the rest are doomed (think; the Rapture, the Ascension, or, Judgement Day) but given the differing views on which religion is correct, it’s more likely that when the apocalypse comes, it’s coming for us all. So, how should people of different religions prepare themselves for The End? Christians might pray to God for deliverance, Muslims might praise Allah, but what about people like Hindus or Buddhists who believe in rebirth? Surely, an event like the apocalypse is just another routine death and nothing to be too bothered by? Perhaps we don’t need to do any special preparation at all? 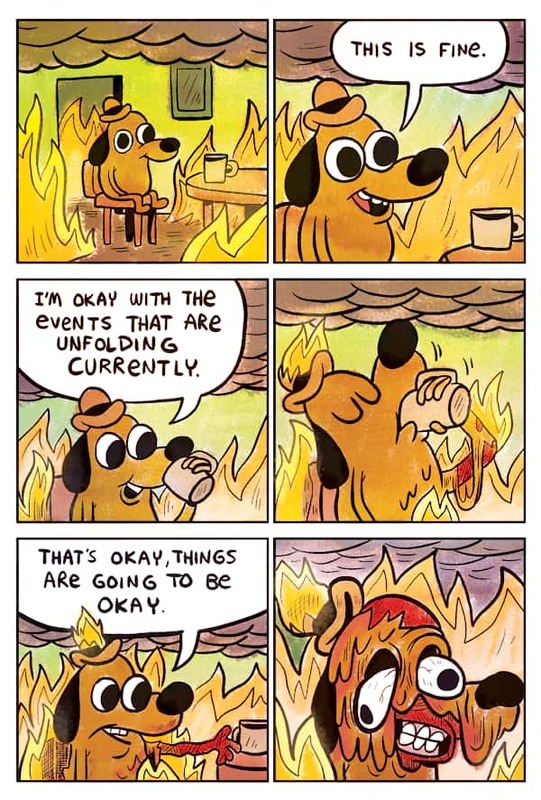 We can just keep going about our normal business, doing our usual things; watching Netflix, arguing with our siblings, hating on politicians and going shopping… But if it really is The End, “situation normal” is not likely to be possible. Even if the apocalypse comes without much fanfare or spectacle—a series of small environmental disasters that eventually lead to a cascade failure—we will still experience a slow-moving horror show for many years. There will be water shortages, droughts, failing crops. Hungry people, rioting for food, or looting what they need. There will be mass migrations as millions of refugees flee rising water levels to seek safety in overcrowded areas elsewhere. Competition for resources will bring violence and chaos, as people struggle for power and survival. Perhaps, then, you think it will be better if the End of the World comes quickly; spectacularly—with little warning—due to something like nuclear war or an asteroid impact. However, this is not necessarily a better option. Imagine the terror of those final few moments. A lifetime of hopes and regrets flash before your eyes, no chance to say goodbye to your loved ones before they are vaporised. Gone forever. Worse still; imagine surviving. The chaos. The search for food. The grim, unbearable sadness of it all. So, what will you do at the End of the World? If your family is starving, will you steal and loot to feed them? If hungry people armed with axes come to steal your supplies, will you share what you have with them or kill to protect yourself? What will you do as a Buddhist? Abandon your precepts out of expedience? Ditch spiritual teachings on kindness, compassion, and generosity because it is suddenly inconvenient? What do you think, great king? Suppose a trustworthy and reliable man were to come from the east. He’d approach you and say: ‘Please sir, you should know this. I come from the east. There I saw a huge mountain that reached the clouds. And it was coming this way, crushing all creatures. So then, great king, do what you must!’ Then a second trustworthy and reliable man were to come from the west … a third from the north … and a fourth from the south. He’d approach you and say: ‘Please sir, you should know this. I come from the south. There I saw a huge mountain that reached the clouds. And it was coming this way, crushing all creatures. So then, great king, do what you must! Should such a dire threat arise—a terrible loss of human life, when human birth is so rare—what would you do? I tell you, great king, I announce to you: old age and death are advancing upon you. Since old age and death are advancing upon you, what would you do? This is our real emergency, our true predicament, the slow unfolding catastrophe of old age, sickness, and death. Yet, like King Pasenadi, we are so often distracted by other activities in our life that we forget that these big things will inevitably happen to us. Even when reminded of this certainty, we don’t want to think about it, we turn away and shut our eyes. It is for this reason that the Buddha used such a striking apocalyptic scenario; to break apart the layers of self-deception, cutting through our usual frivolous distractions, to issue an urgent reminder. Adhivattamāne ca me, bhante, jarāmaraṇe kimassa karaṇīyaṃ aññatra dhammacariyāyasamacariyāya kusalakiriyāya puññakiriyāyā”ti? Thus, the qualities that we will need at the End of the World are the very same qualities that we need in our ordinary lives; in both situations, we face essentially the same problems, just with different external conditions. It is not just in extreme situations that our ethics and behaviour will be tested but also in the ordinariness of here and now. If we cannot practice ethical conduct in our everyday lives in the present, what hope will we have in the future, when things get really tough? So, how should a Buddhist survive the End of the World? Unfortunately, from the Buddhist point of view, “survival” is ultimately impossible; we are bound to experience old age, sickness and death eventually; unless we attain liberation, the cessation of all suffering, in which case there is no “survival” but total extinguishment instead. However, if we are still unenlightened when the End of the World is upon us, then—just as King Pasenadi realised—in times of crisis, we should not abandon our spiritual principles. Instead, in that moment, we need to cultivate the four things the king mentioned above; practice the teachings (dhammacariya); practice morality (samacariya); do skillful actions (kusalakiriya); and do good actions (puññakiriya). We keep practicing the Dhamma as taught by the Buddha, seeking to understand the teachings by living them (dhammacāriya) as much as possible. These teachings are what will continue to guide us, even in the direst circumstances. We should also aim to live justly, maintaining ethical conduct that leads to personal and social harmony (samacariya), such as keeping our precepts; not killing, not stealing, not committing sexual misconduct, nor lying or becoming intoxicated, even when faced with a catastrophic event like the disintegration of civilisation. It will be in this chaos that many people will abandon their ethics and decency, as people slide into survival mode, moral depravity and escapism. It is at such a time that performing good actions (kusalakiriya) will matter the most, when love and compassion will be most needed. Even in a broken world, virtuous action is always blameless. As such, keeping up our ethical conduct will be a source of protection for us as well as others, and we will experience a sense of peace and tranquility as a result of our good actions. Even if it seems that all hope is lost, we can still perform meritorious actions (puññakiriya), such as practicing kindness to others through our virtuous conduct. We can still be generous, sharing what we have with others, and even—perhaps—continue developing our minds through meditation or contemplating the Dhamma. These kinds of actions are sure to bring good results for us now or in the future. By understanding the Dhamma, and practicing in this way, a Buddhist at the End of the World—or even just in ordinary daily life, here and now—can be a beacon of goodness and a source of inspiration to others. 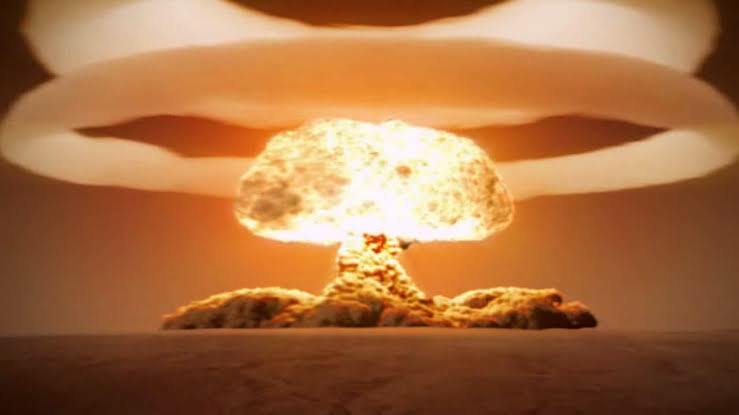 So, as the Buddha asked King Pasenadi; what would you do if the world were ending? And would that be so different from how you are living now, faced with old age, sickness and death? Read the full Pabbatūpa Sutta, the Simile of the Mountain, on SuttaCentral. Increasingly, as the effects of climate change become more widely known, it is easy to believe in a looming apocalypse; where rainfall patterns change, bringing droughts that gradually turn the earth into a desert, resulting in loss of crops and famine… Or, maybe there be a swifter end; a tsunani, or a flu or perhaps a war over resources, with a trigger-happy politician who decides to go nuclear and end it for us all? When the End of the World is finally upon us, what will it mean to be a Buddhist? The problem of what to do when the world is ending might seem abstract but it goes to the heart of our practice as Buddhists. If it’s hard enough to be a good person and practice the Dhamma when our external conditions are supportive, how much harder will it be then, when our way of life is shattered by rising sea leavels, food shortages, mass migration, or wars? Surely, as Buddhists, this is when our ethical conduct, our goodwill and our compassion will matter the most. But that is also the time when it will be the most challenging for us. I’ve been thinking a lot about these kinds of questions since arriving here at Lokanta Vihara. Endings. 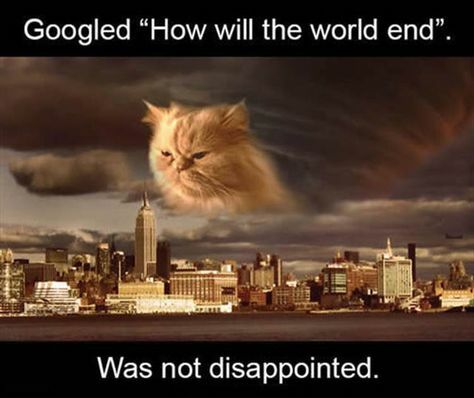 Apocalypses. Disasters. Hope. 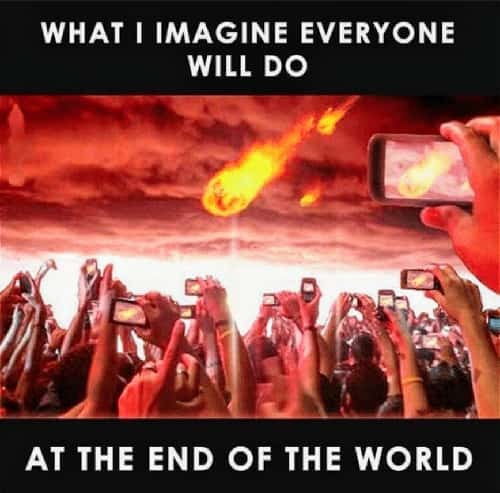 I wonder how I would behave at the end of the world? In the next few weeks I want to share with you some thoughts and feelings about these issues. I’ll also explore what we can learn from the Buddha’s teachings, to find out how we can best live our lives, both in the present and in an uncertain future. Click the video below to get a feeling for what the End of the World looks like. 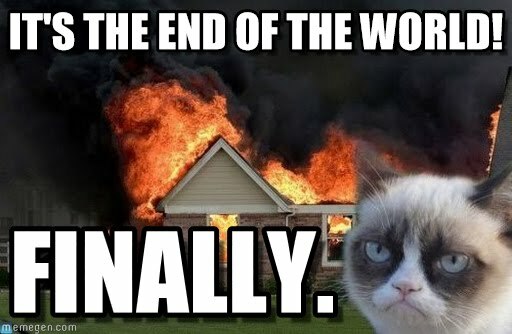 It’s the End of the World?? Bhante Akāliko wants some answers! Bhante Akāliko: What is the meaning of Lokanta Vihara? Bhante Sujato: It literally means The Monastery at the End of the World in Pāli. BA: What where you thinking about when you named it that? BS: There are three different meanings I was thinking about. The first references the Rohitassa Sutta where the Buddha likens Enlightenment to reaching the end of the world. The second is that we are living in an age of climate change which means the world as we know it is pretty much ending. The third is about our location, in the Sydney suburb Harris Park, which many people might think is in the middle of nowhere; even the end of the world! BA: Is this some sort of Buddhist Doomsday Cult type situation? BS: No. Definitely not. Or maybe, perhaps… yes. BA: Aren’t monks supposed to live a forest? Why are we in an apartment? BS: I’ve lived in the forest for nearly 25 years, and now I’m not. We’re in a small 2 bedroom flat, and what do you know? I like it! It’s simple and easy. Many times, when living in conventional monasteries, life is very beautiful, and the place is a delight and a refuge for many people. But there is also a cost, one that is not so obvious. Living in the forest, especially in modern times, takes a lot of time and effort and funding. At this time in my life, I want to put my main efforts into SuttaCentral. BA: Tell us more about the vision for Lokanta Vihara. BS: We want to make this a place we can practice and grow in our monastic life, while serving the Buddhist community. We’re looking to keep the good traditions of Buddhist monastic life. We go for alms-round (piṇḍapāta) each day, accepting invitations to eat in houses only on the weekends. As far as possible, all the furnishings are second-hand, maintaining the paṁsukula tradition, of using robes from the rubbish heap. We will not accumulate belongings here, remembering that it is all impermanent, and we will be moving on. BA: What types of things are we going be doing here? BS: We have already started doing some teaching and now have a regular Friday night session at the Harris Park Community Centre. We have a Monday Morning Meditation by the Parramatta River down at Queens Park Reserve. We are looking at doing some activities for young people, too. I’ve been developing some different ways of presenting the Dhamma including Dhamma Drops which is a short form talk with a postcard to take away. BA: How can people find out more about our activities?